This month marks the start of my seventh year of blogging and writing about food. It might be a cliched saying, but what a journey it has been. The last six years - and last year, in particular - have been a roller coaster ride of learning, teaching, understanding and connecting. I've done things that scared the living daylights out of me, but at the same time helped me to understand myself a lot better. I fell back in love with my home country, India. I embarked on a new job that I love, and I have been writing and developing recipes non-stop. I started food styling, learned that less is more when it comes to my own style of photography and attended conferences where I met and connected with people that I've admired greatly. 2015 almost seems like an anti-climax after all the excitement of 2014. But here it is, and it is time to start a new journey. This year, I am going to start writing about things that challenge me and make me grow as a food writer and a cook. So over the next few months, I hope to do at least one post which is a step-by-step to something that I have never attempted before, or a dish/ technique/ idea that I have been working on, but never thought about writing down properly. I am also planning on doing a lot more writing, going back to the basics of why I started this site, which is to share memories of my homeland. So you can expect to see a lot more traditional Indian recipes on here and all the wonderful memories that they are associated with. To start off with, I've been reviewing Bread Revolution by Peter Reinhart for The Kitchn. 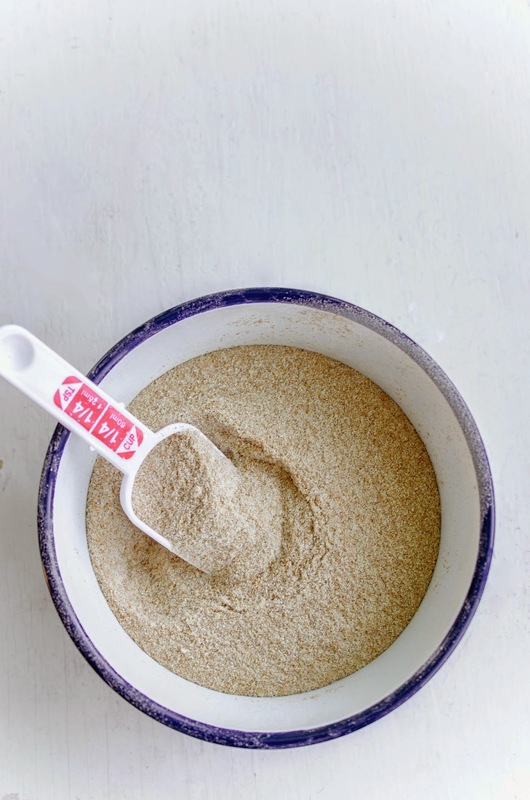 Reinhart talks about sprouted wheat flour a fair bit in his new book. I couldn't find the flour here, so I decided to make my own. 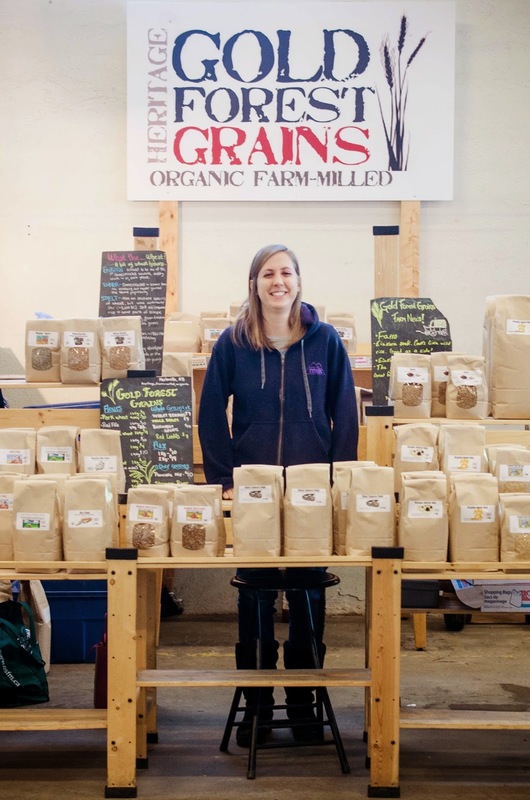 A quick trip down to John's Gold Forest Grains at Strathcona Market, and I had wheat berries to start my own flour. The process was not as straightforward as Reinhart makes it seem, but I did succeed with a little bit of trial and error. And the flour was so good, I think I might be addicted. I made a ton of baked goods with it, and I can totally see why he raves about it. It was a lot healthier, and it was also pretty easy to bake with. I had to adjust a little for my altitude (and had a little mishap with a focaccia), but other than that, everything I made with this wheat flour, including a really great pizza, turned out amazing. I think I can safely say that my first challenge was a pretty good success. I decided to document this process with as many pictures as I could. There are notes at the end about what I did and what I could do better. I used wheat berries, but Reinhart reckons that you can make this flour with any sprouted seeds. 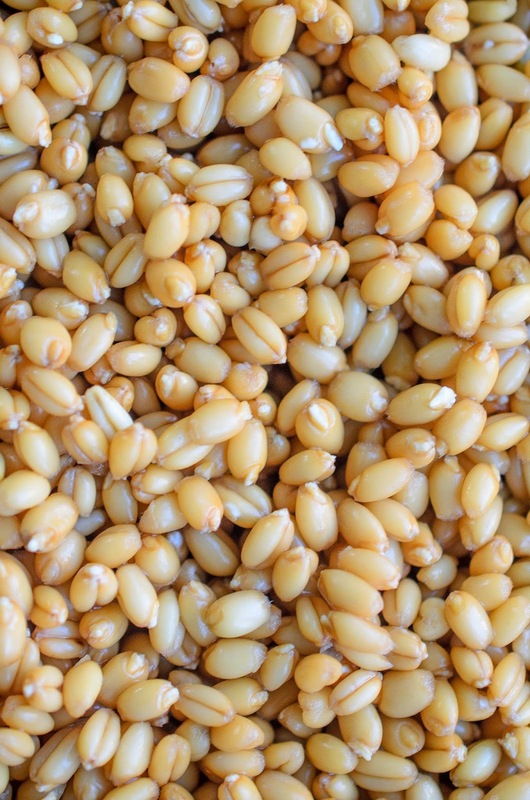 For the first step you will need about 1.6 kgs wheat berries. Rinse them well under cold running water. Place in a bowl, then cover with fresh cool water. Drain the wheat berries, give them another rinse, then place in a colander over a bowl. Cover the berries with a damp cloth (again, this is because of the dry air in my house in Edmonton.) 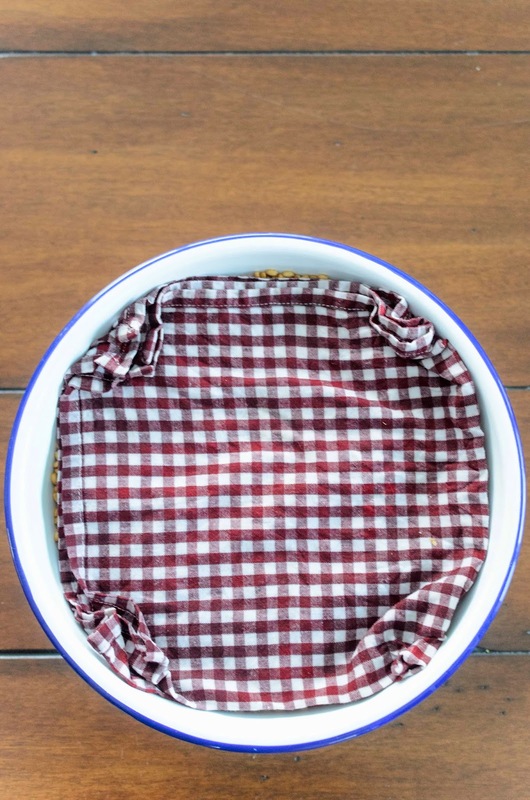 You can also place in a sieve, over a bowl. Place the bowl in a warm place. I like to keep it close to a heat register. The wheat berries will take anywhere between 12 - 24 hours to start sprouting. Once they start to sprout, they will look a bit like the above picture. Once they start to sprout, leave them for an extra 6 - 8 hours. This picture might seem a bit weird, but there is a reason for it. 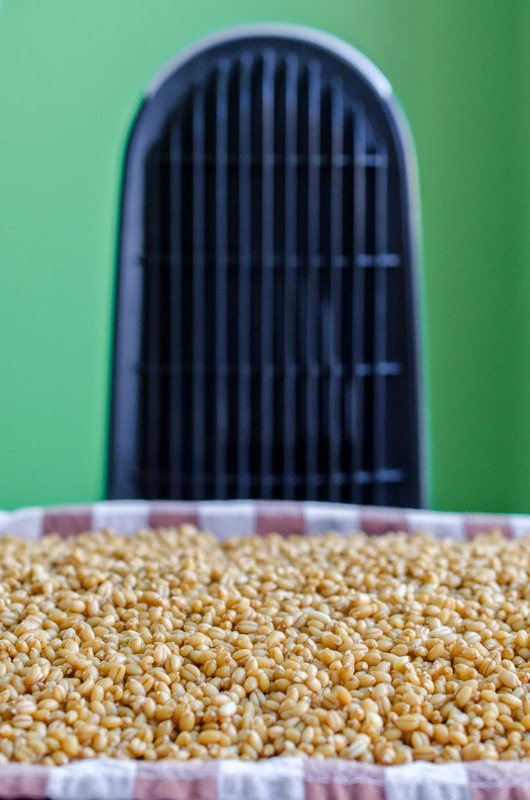 Once the grains have sprouted, spread them out on a baking tray lined with a tea towel. Place them in a warm room, with a fan of some sort to keep the air moving. We have an air purifier in the house, which has a fan function, so it worked perfectly for drying the grains. Change the tea towel every six hours or so - also stir the grains around. The sprouts will start to shrink back into the grains as they dry. Let the grains dry completely. This can take anywhere from 12 - 24 hours. Make sure they are completely dry before the next step. Reinhart recommends not placing them in a low oven as any kind of heat will destroy the nutrients that the sprouting process has achieved. It took my grains about 24 hours to dry completely. Once the grains are dry, you can mill them. I used my powerful dry grinder to mill them. 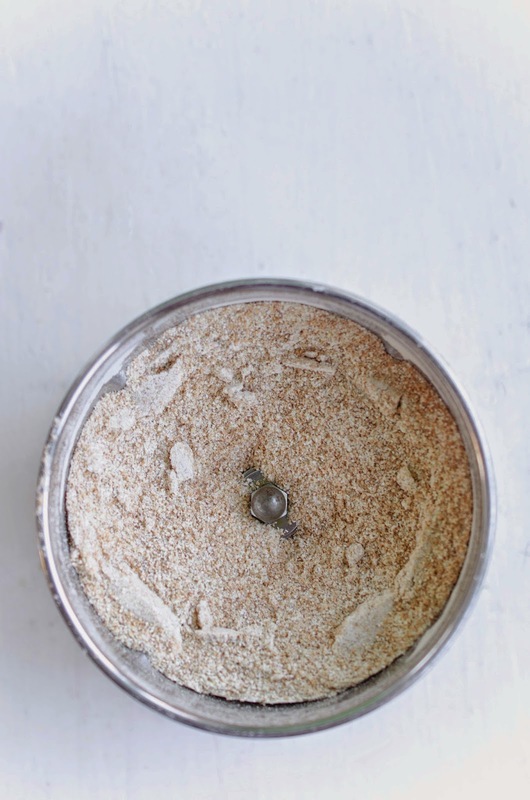 I turn my grinder on for about 15 - 20 seconds at a time, then stirring, so that the grains don't stick. Make sure that the grinder doesn't heat up as you blend. If it does, empty the grains out and let them, and the grinder, cool down before milling again. Ideally, you want to mill the sprouted grains just once, to the consistency you want to keep the nutrients intact. However, if the flour is too coarse, you could possibly sieve and then mill the coarse grains again until you get the consistency you want. Freshly milled sprouted wheat flour at your service. I place my flour in a heavy duty brown paper bag (you can repurpose old flour bags) and store it in the fridge to keep it fresh. Use it as you would your regular flour, however, I have found that it needs a little less liquid to give the same results. Bread Revolution has some excellent recipes to help you get started, or you can always look for recipes online. I will be posting one or two in a few weeks time. So, what do you think of my new challenges? And what kind of recipes would you like see more of on this site? All suggestions are very welcome. I think it's important to reevaluate things from time to time to make sure what you are doing is true to yourself - seems to be what you are doing! Love that you are going to try new things and challenges this year. Wishing you much success! I really enjoy your blog and look forward to the traditional Indian recipes. All the best in your 7th year! It sounds like this is going to be an exciting new challenge for you! Looking forward to seeing where it takes you. That is very cool, I would have never known how to do that, nor have I seen it before. Thank you for a great post! I was looking at this the other day - SO interesting!! That's a great post; very interesting and inspiring! You say, "Reinhart recommends not placing them in a low oven as any kind of heat will destroy the nutrients that the sprouting process has achieved” but won’t the nutrients just get destroyed anyway when baked? 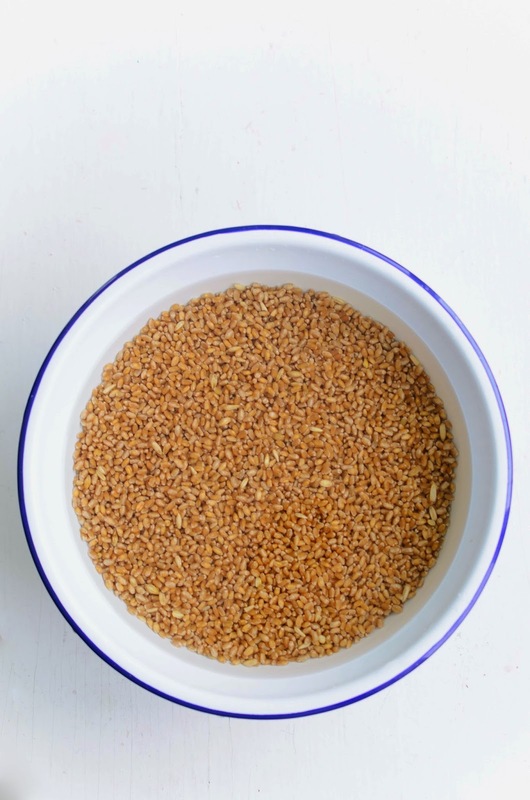 Hi Michelle Peters - Jones,thanks for nice,beautiful and lovely post regarding how to sprout wheat berries to make sprouted flour and its nutrients.